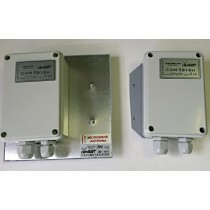 We are proud to introduce our latest long range Wireless Cow Calving Camera Kit. With a fantastic 1.5Km range, this is a professional kit, no cheap shoddy kits as seen on other websites. We are Ireland's leading Cow Calving Camera kit experts, with wireless ranges of more than 50Km possible with some of our kits. We have Cow Calving Camera Kits with professional, fully waterproof steel-cased PTZ cameras, kits with 3G dongle capabilities, Multi-camera systems. We even have low cost microphones that can be added to all our kits so that you can hear the cows, and we know how important that can be! This wireless kit comes with a professional high quality fully waterproof 5.8Ghz wireless transmitter and receiver, a very solid aluminium 2.8-12mm Vari-focal 1,000TVL CCTV camera with 30 metres Infra red Night Vision. Plus power supplies and cables to connect to most standard TV's. We are proud to introduce our latest very long range Wireless Cow Calving Camera Kit. With a fantastic 3Km range, this is a professional kit, no cheap shoddy kits as seen on other websites. This wireless kit comes with a professional high quality fully waterproof 5.8Ghz wireless transmitter and receiver, a very solid aluminium 700TVL CCTV camera with 40-50 metre Infra red Night Vision. Plus power supplies and cables to connect to most standard TV's via the scart input. This is a very handy Cow Calving Kit, ideal when there is no fixed-line or wireless ISP broadband available on the farm. This kit makes use of the O2 or 3Mobile 3G network to stream cow Calving images to your smart-phone or laptop, anywhere, anytime. Everthing you need to remotely view your cameras anywhere you are. The High-Resolution camera can see about 40 metres in the dark, it's colour during the day and then switches to night-vision when it gets dark. This kit uses the very latest technology to enable you to see your cows calving, no more getting out of bed at 3 O'Clock in the morning - you will be able to see what's happening, live! 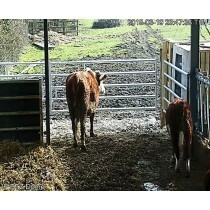 A Complete 3G Wireless Cow Calving System with a Fantastic 12X Optical Zoom PTZ Camera. Remotely access and zoom in and rotate the camera to get an excellent close up view of your cattle in their cow calving shed. Use any modern smartphone, Ipad , PC or laptop to view live footage no matter where you or your cattle are. No Landline broadband connection needed at shed, but does require resonable O2 3G signal. This kit comes with an excellent 2 year warranty, for extra peace of mind. The PTZ camera has a 12 X optical zoom and a 10 X digital zoom, giving a total zoom of 120X. You can easily read the tag on a cows ear. This kit does not include the USB 3G dongle or contract. This system uses P2P remote viewing for easy setup, no more complications. Microphone available at a small extra charge. Perfect for farmers and Cow Calving use. 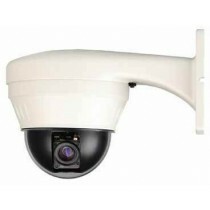 Professional wireless 2 Mega-Pixel High Definition PTZ Camera with an incredible 80 metres Night-Vision. 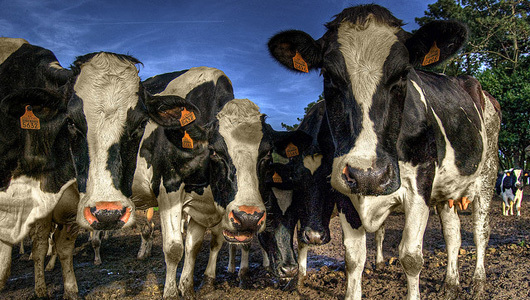 This camera will let you see a cows tag from one end of a shed to the other in TOTAL DARKNESS. No more complicated relays to switch on your shed lights. This camera features the latest High Definition IP technology giving an incredible 2MP Full HD image. No more low-quality blurry anlogue images! This camera also features the very latest IR Smart Array LEDs lights capable of an excellent 80 metres Night-Vision, no need to leave your lights on all night! 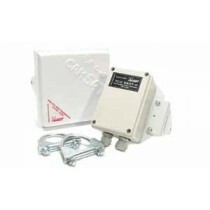 This is the Wireless version which includes a Professional 5.8Ghz encrypted Wireless Link with a 500 metre point-to-point range with line-of-Sight. This is the High-Spec 2MP IP PTZ camera with an excellent 12 X times optical zoom using the latest high-quality lenses.. This kit will allow you to view the Cow Calving PTZ camera on your smartphone/Tablet/PC/Laptop through the WiFi/Broadband router in your house. You can also view it anywhere, depending on your type of broadband and router programming. 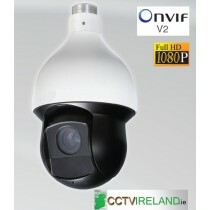 High Quality branded equipment with an excellent two year warranty, buy with confidence from the CCTV wireless experts. This equipment is fully waterproof and designed to last years. This camera is designed in the UK by QVIS/Adata.